The YMCA of Greater Montgomery Barracudas Masters Swimming team is a club designed for swimmers of all types. We invite lap swimmers, triathletes, fitness swimmers, open water swimmers, and competitive swimmers. Our team is here for those who are students, members of the YMCA, and outside members of the River Region area. We invite all swimmers new and old to join. You must be 18 years of age or older. You can be 23 or 105 years of age to join our team. We welcome all! Swimming is a lifelong sport that helps individuals live a healthy life. Our schedule is open with many opportunities for participation. We practice up to 13 times a week, if you desire, at the East YMCA off Pelzer Ave.
All participants must be a member of The YMCA of Greater Montgomery and a current member of U.S. Masters Swimming. US Masters Swimming is a national organization with more than 65,000 members which helps promote lifelong fitness through swimming. Stop by the East YMCA to fill out a registration form and become a member of the YMCA and Montgomery YMCA Barracudas Masters Team. (You must be a YMCA member to be a part of the team) If you are already a member of the YMCA you may register online. Swimming with others of your ability is fun, and MYB Masters offers fifteen weekly workouts to help fit your schedule. I’m not a very fast swimmer, can’t swim all the strokes, and am not sure I can finish the whole workout; how good a swimmer must I be to join? We welcome swimmers of all abilities. If you can swim freestyle for 4 lengths of the pool, our coaching staff can help you improve your skills and endurance. You don’t need to be able to swim all the strokes to join! Don’t be afraid to ask for help. Our coaches can adjust the workout to meet the needs of each swimmer. Each workout runs for an hour to an hour and fifteen minutes (don’t worry if you can’t finish the whole workout initially). The coach gives the sets, which vary in distance. Workouts generally cover around 2,000 to 3,500 yards. We hold 15 practices each week, morning, lunchtime, and evening. Find a time that works for you on our schedule. Saturday practices are NOT held on meet weekends for MYB or for Home meets that MYB host. The East YMCA is located at 3407 Pelzer Ave. Montgomery, AL 36109. The competition pool is usually a comfortable 84-86 degrees. Yes, Masters swimmers have access to the Adult Locker rooms and showers. I’m not in the best of shape now, and don’t look so great in a swimsuit. Do I have to wear a racing swim suit? You are not alone. We have all been there. Any one-piece swimsuit will do. At any given workout, all body types may represent! People aren’t focused on your looks as much as you might be, just hop in and get some exercise! If you put it off, you might never get going. Can I try a few trial swims before I sign up? Sure, the first three swims within two weeks are free; just show up at the pool and tell the coach that you’re there to check it out. You will need to fill out a Guest Waiver form and give a copy of your driver’s license. Suits are mandatory. Goggles are recommended. Caps are optional. No, The MYB Masters Swimming Team is designed for the individual goals that you strive for through swimming. It is the sole decision of the individual whether he/she would like to compete in a meet. The coaching staff is here to help every swimmer in his/her individual fitness goals. Do I have to be a member of the YMCA in order to participate? Yes, in order to be a part of MYB Masters, each participant must be a member of the YMCA. The YMCA offers a variety of membership types that can be found on the YMCA website or just ask the front desk of the East YMCA. The monthly dues are $30 for regular membership, and $20 for college students in Montgomery area (Student ID Required). Swimmers are required to be members of USMS so that MYB Masters has liability insurance. Those who are interested can check out MYB Masters by swimming three workouts. Ask about the trial swims at the pool. Membership of the team does come with a Team T-Shirt and Kickboard. Visiting Montgomery? Drop in for a MYB Masters workout. Our guest fee is only $10 per day. 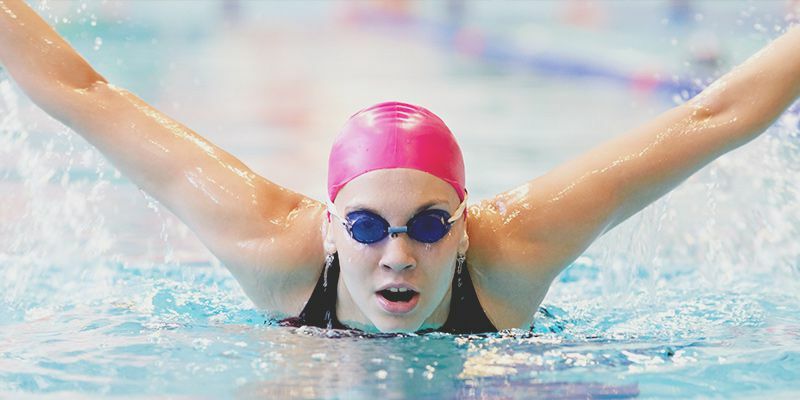 The YMCA of Greater Montgomery Barracudas Masters Swimming team is to provide adults with the opportunity to participate in a healthy lifestyle and participation in the U.S. Masters Swimming events. We strive to provide quality coaching so that each athlete feels comfortable in his/ her improvement in the sport of swimming. The coaching staff is here to provide each swimmer the technique, endurance, and help achieve each swimmers’ fitness goal.